Son of the original Mascara Sagrada. 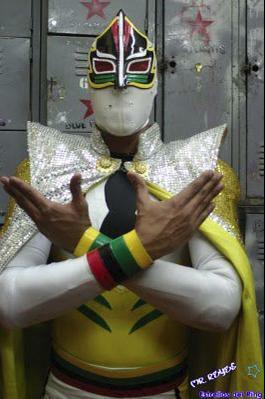 His brother currently wrestles as Máscara Sagrada Jr., not to be mistaken by the AAA created Máscara Sagrada Jr. who has no family relationship. Pushed as one of the top stars in the Juniors promotion in 2011. Has made scattered appearances in IWRG. This page was last edited on 28 December 2017, at 16:17.